Join us between 13-16z on Saturday the 23rd of March between HKJK-HAAB (or vice versa). This is very significant as Ethiopia is a dormant area of the VATSIM Network that sees little traffic and less ATC than North Korea. And now we're giving YOU the opportunity to fly there with FULL ATC the whole way! 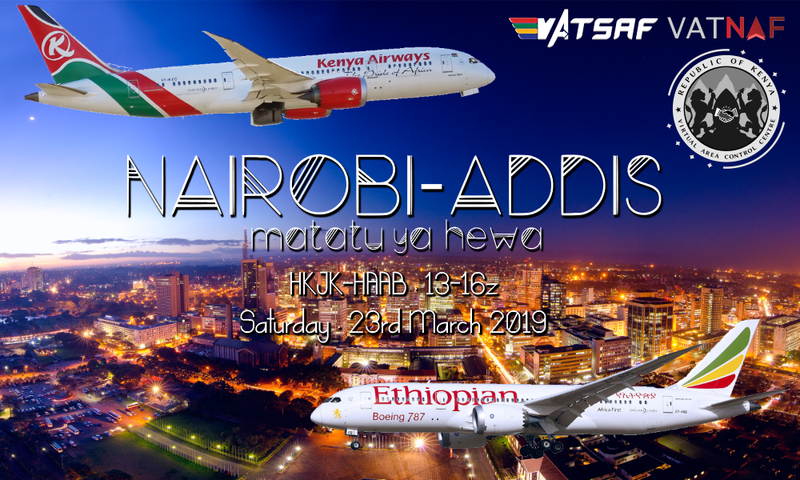 Event has been added to VATSIM event calendar: https://www.vatsim.net/events/matatu-ya-hewa .